For 2019 the trading dates run from 02 to 26 August, with trading ending early on the final day of the festival. There will be an early finish on the final day to assist Fringe Society staff packing stalls away for storage. The exact time will be confirmed in trader contracts but is usually 17:00. This means if you are changing site your changeover day will be Sunday. You may choose to trade for one or two periods only or for the full festival. If you select 'full festival' you will be allocated a stall for each period of the Fringe i.e. two periods on the High Street and one on The Mound. If applying for the full festival, you will be allocated a stall for each period of the Fringe i.e. two periods on the High Street, one period on the Mound. You will be charged based on the rates shown below. Please note, due to availability, it may not always be possible to provide you with your preferred full festival locations, in which case you will be allocated what is available and charged accordingly. Those selecting to trade for one or two periods will be allocated stalls on either of the two sites and will be charged accordingly. Traders may request specific weeks but not specific sites. 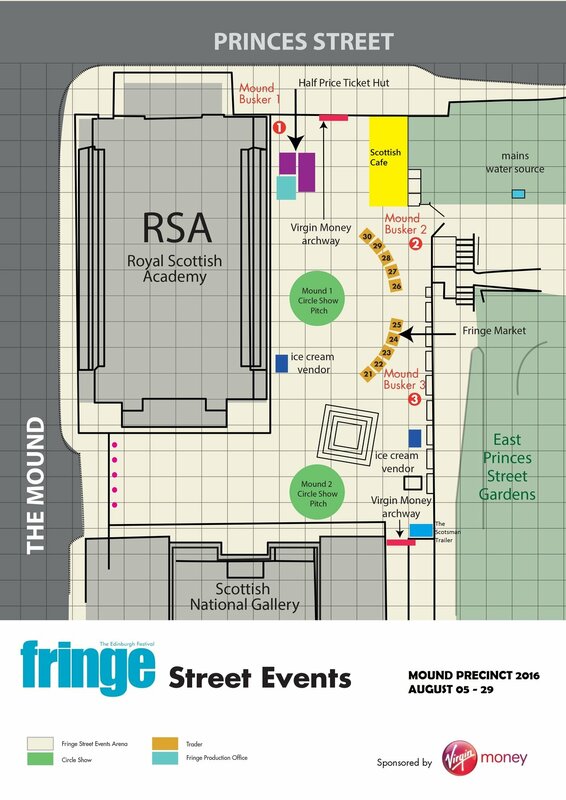 The Fringe will then allocate stalls to successful applicants. Traders unhappy with their allocation may withdraw their application at this stage. The price of trading will depend on the site and the week allocated. Pitch and covered stall provided by the Fringe Society. Shared use of a storage container (available on High Street only). Our arts and crafts markets are an integral part of the Fringe Street Events and take place on the High Street and the Mound Precinct throughout the Fringe. Positioned at the heart of the festival and attracting a huge numbers of tourists, performers and promoters daily, both areas are excellent trading locations. Please click on the images below for diagrams of last year's market layouts. 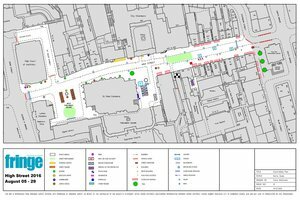 It is possible that the market will change shape on both the High Street and the Mound Precinct, but we will post more news about this as it becomes available. 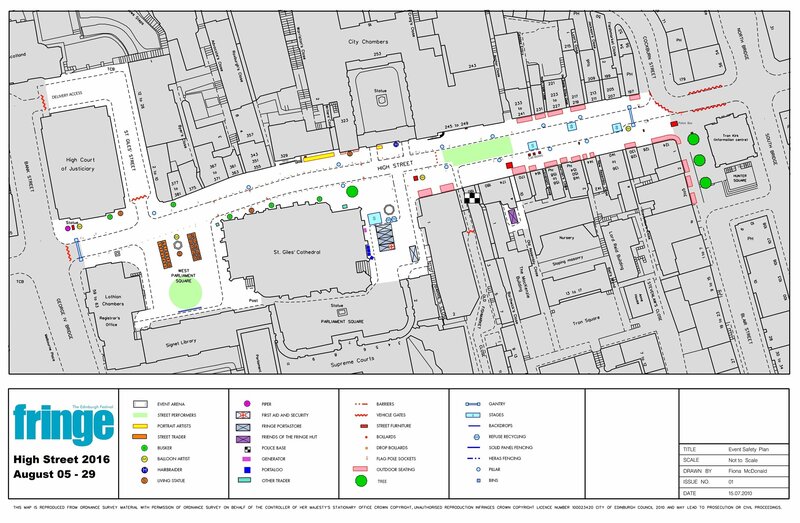 We will ensure stalls have the best possible location within the new layout. Corner stalls on both sites will be expected to keep two sides open.